Let us sort your travel dilemmas, Email us or talk to us, we have the perfect travel related solution waiting for you! Don’t be put off by the idea of riding in the rains. 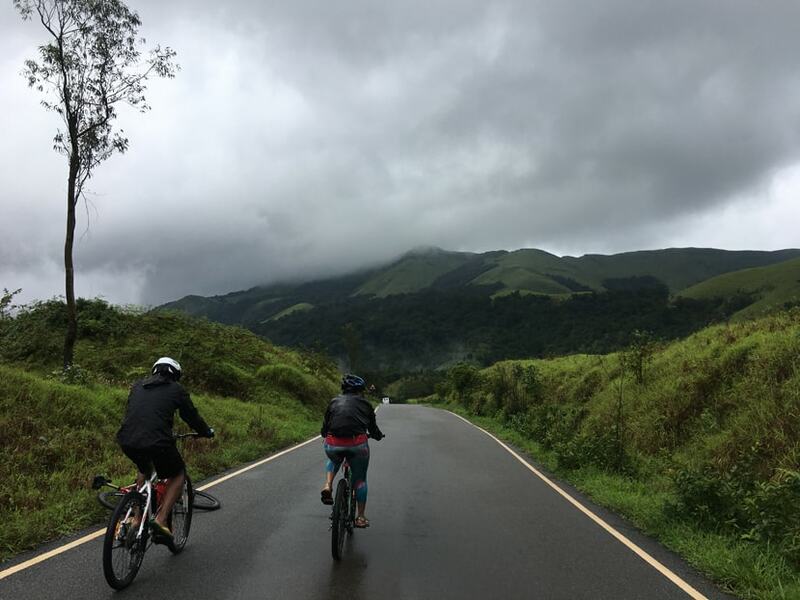 With warm temperatures of 28-30 degrees centigrade, intermittent showers, lush green hills, numerous waterfalls, rich wildlife, jaw-dropping landscapes, steaming hot local food, and helpful people; cycling the Monsoons is a once in a lifetime experience! 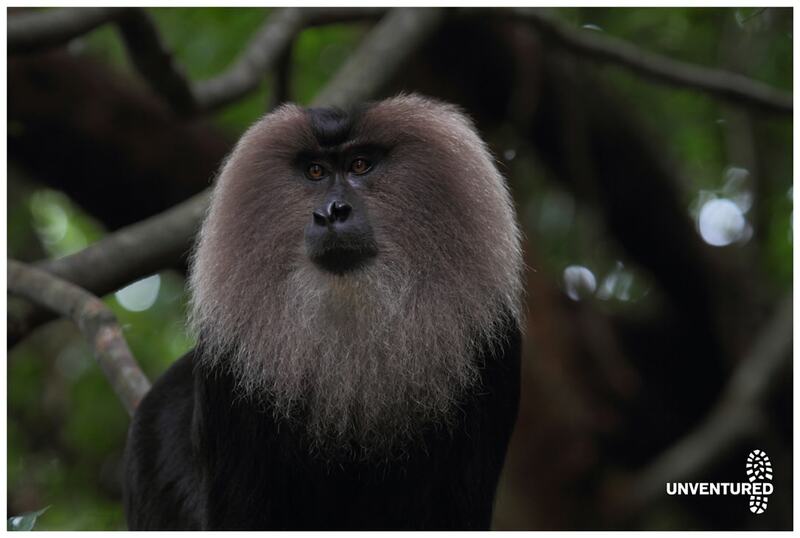 The arrival of the “monsoons rains” in India is an annual phenomenon, and quite literally, an “emotion” for the people and wildlife in the Western Ghats. The southern peninsular region of India along its western coastline has a long ridge of mountain ranges called the Western Ghats. Life in the rainforests around the Western Ghats comes alive in the monsoons, especially for the largely agrarian population of people and the wildlife in the forest that celebrates this time of abundance. 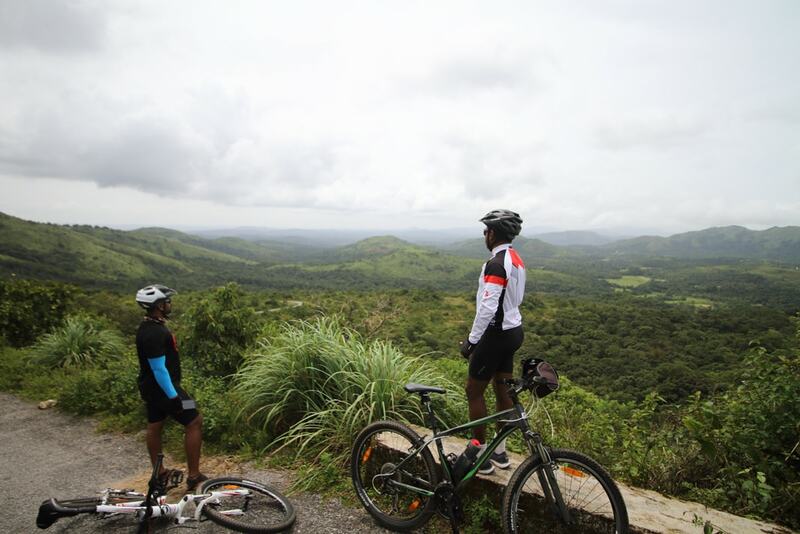 This 8-day cycling tour through the Western Ghats is a medium intensity trail. Prepare to get wet, ride through stretches of challenging climbs, scenic countryside roads that will excite the traveller in you. Enjoy beautiful picturesque views and stop at the numerous waterfalls en route. 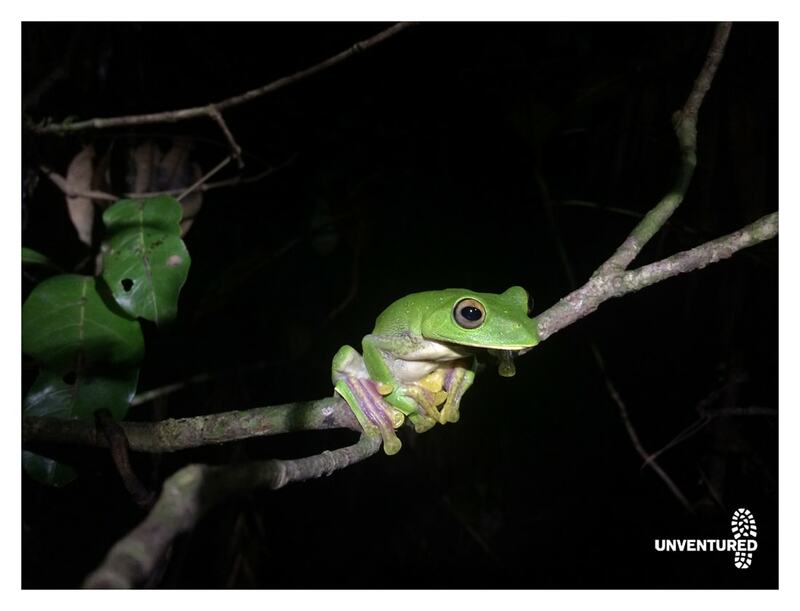 Expect encounters with snakes, scorpions, and other amphibian life on your night trek along with amazing local food and humble, fun people – all put together as an unforgettable experience. Let’s celebrate the grand Indian Monsoons with Unventured. 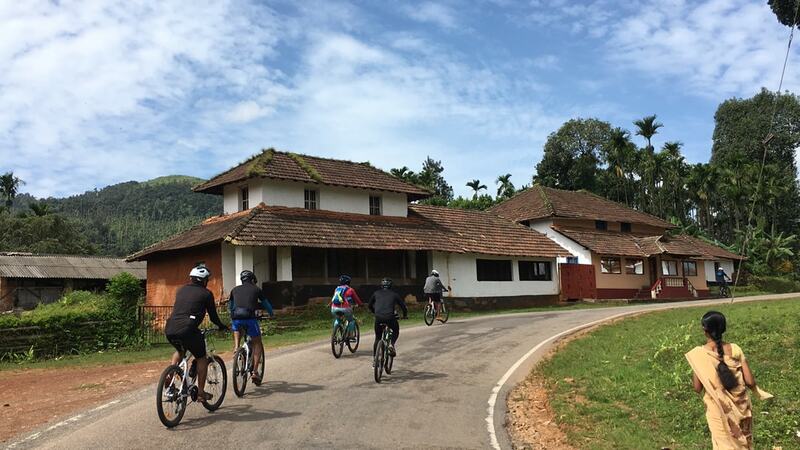 The terrain in the Western Ghats is a mix of gentle climbs and steady descents, combined with plenty of flat roads, which makes it a delight for a cycling enthusiast. Cyclists should be physically fit with at least a moderate degree of cycling experience. Once you sign up, you must make the effort to put in some practice rides before joining the trail. The total distance cycled over 8 days is about 300 kilometres through quaint villages and the rainforest with rolling and flat terrains. This tour is graded as medium intensity, in terms of distance and gradient climbing, since most of the rides will be done on tarmac roads with the exception of some off-road trails. A stay at a coffee plantation to learn about coffee and its origins in the region. A night at a temple town where your guide will walk you through its rich cultural heritage. 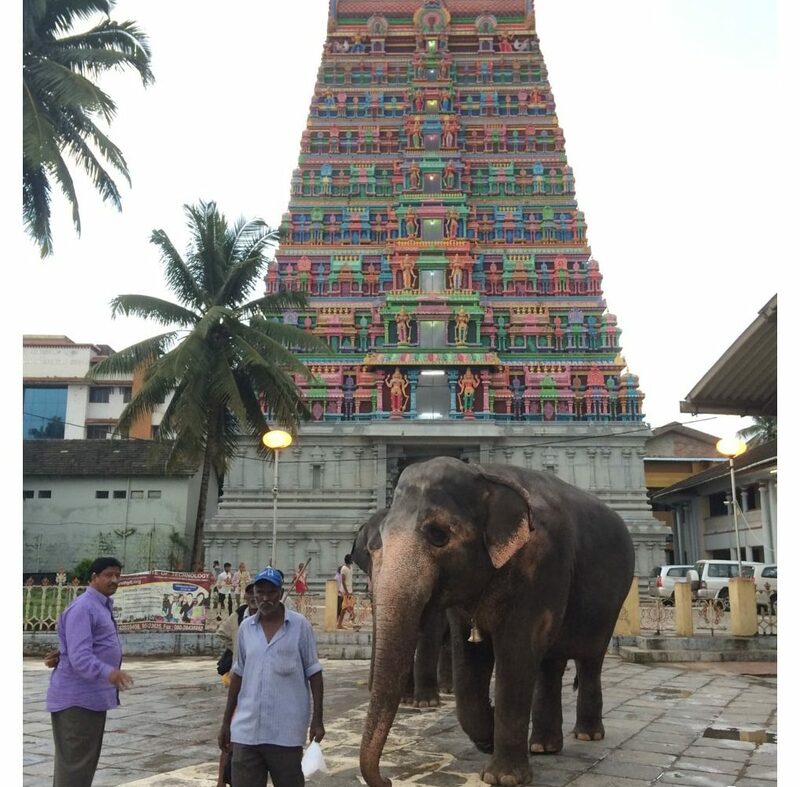 Based on the time, we will visit one of the oldest Sanskrit institutions in Southern India. 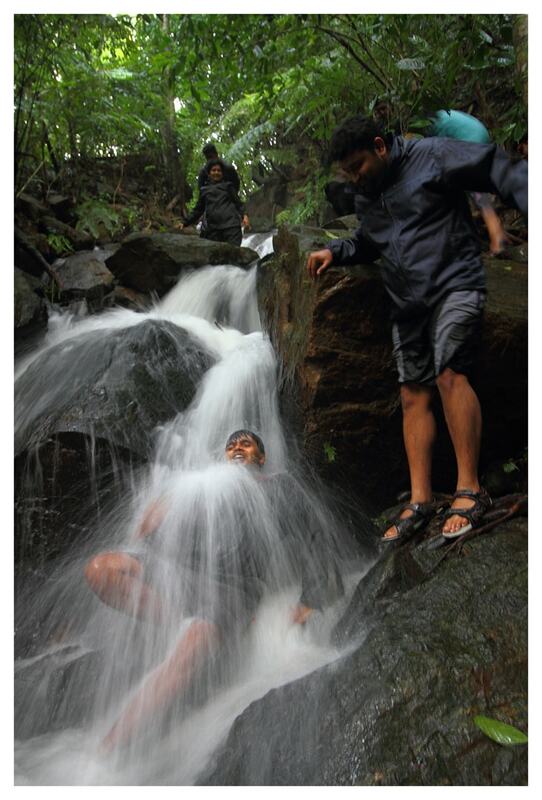 Stay at a research centre and experience amphibian life that comes alive during the monsoons. Visit a farm for essences of farm life and the influence of the monsoons on it. Finally, a grand ending – a beach-stay overlooking the Arabian Sea, to watch the rain-bearing clouds make their way into the subcontinent. Explore the region at the pace of a pedal, trailing through the “Malenadu” region of Karnataka. Experience the monsoons at its best and discover how this region transforms with each day. This 7-day trail begins and ends in Bangalore and includes an approximate 300 kilometres of cycling over the 6 days. The right mix of cycling, leisure, and exploration has been included in this trip. You will experience stretches that challenge your limits, sceneries that indulge your senses, and interactions with the locals that expose you to new cultures. You arrive at Sakleshpur by lunch time. Your accommodation for the day is a quaint homestay surrounded by the lush green Western Ghats. Post lunch, you will rest for a while and later head out for a trek to the waterfalls. This will take you through meandering farm patches and across moderate hills. The ideal way to shake off the journey is to get under the waterfall and soak it up! 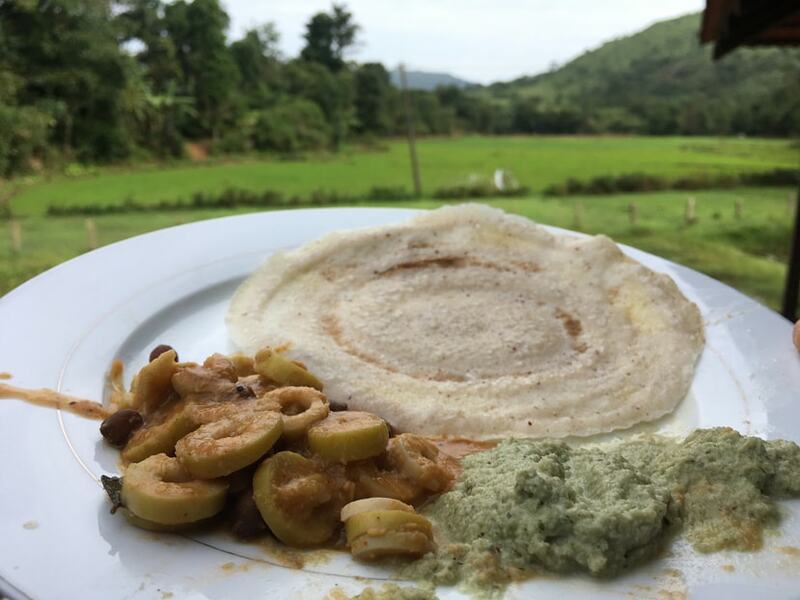 •	You will stop for a hearty breakfast en route from Bangalore. •	You will trek to a waterfall post lunch. •	You’ll be briefed by the campfire in the evening. You will ride from Sakleshpur towards Mudigere, crossing over water bodies to a farmstay in the valleys. 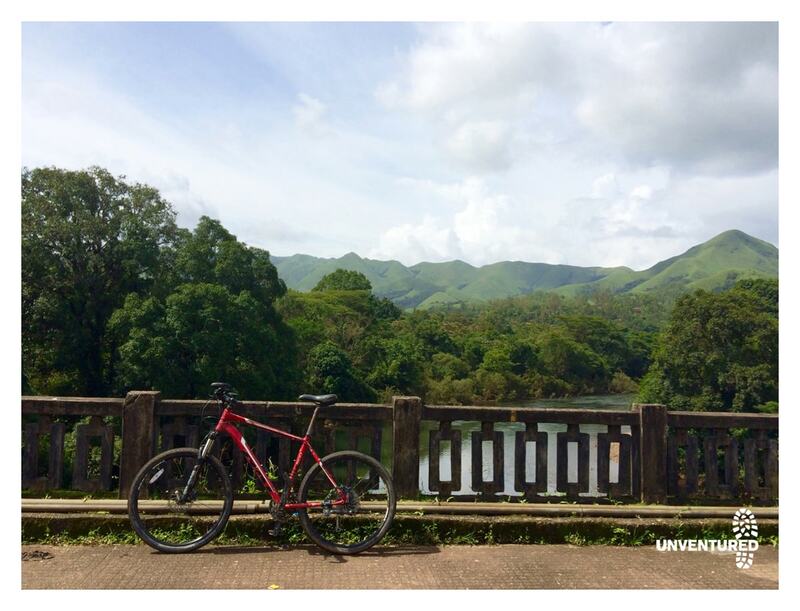 Your ride will take you through coffee estates and lush green farms. 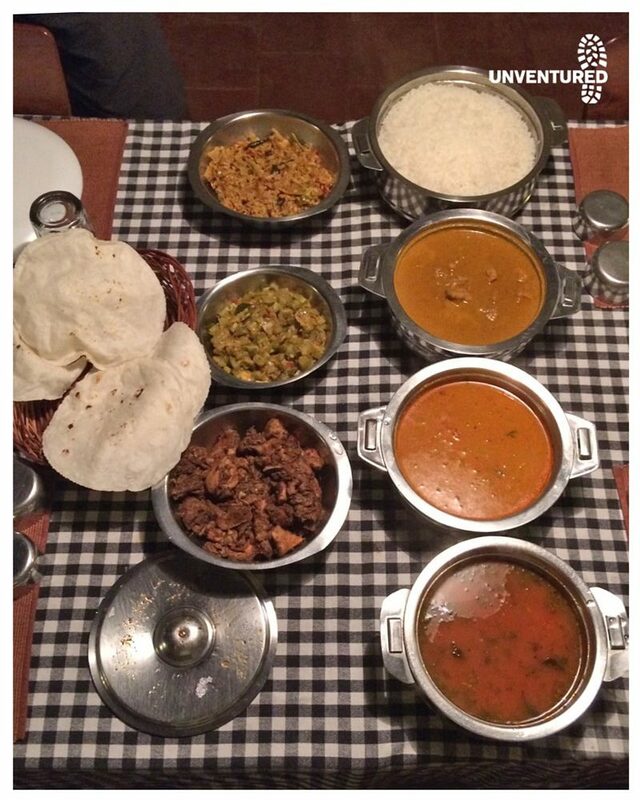 In the evening, your hosts will cook some delicious “malenadu” (rain country) cuisine. It’s ideal to warm up your rain-soaked muscles. •	You’ll find accommodation at a farmstay. •	You will cycle through high gradient climbs, as you cross over hills. 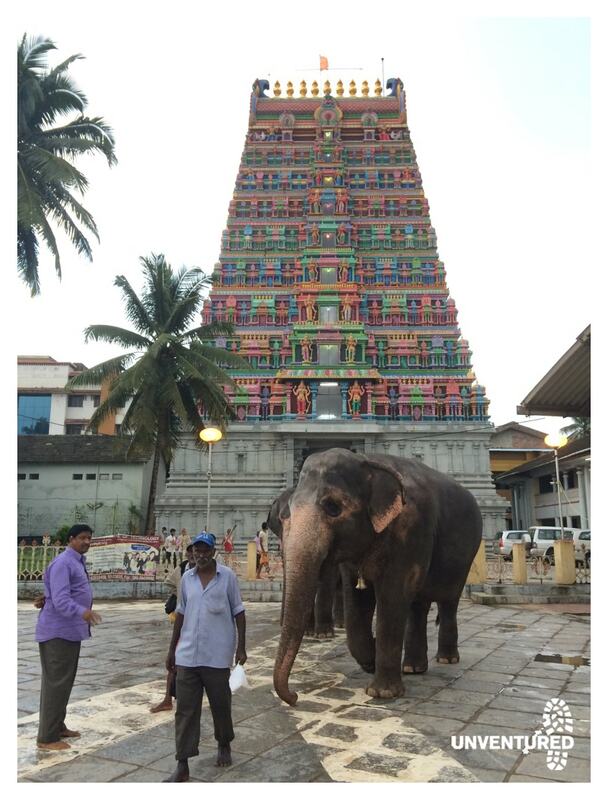 You’ll start your day with a climb up to the Devaramane hill and then a ride downhill towards Kalasa town. Your accommodation is a heritage home, tucked away from this little temple town, overseeing a stream and plantations. The hosts at the homestay welcome you to share stories of their home and the way of life. •	Enjoy your downhill ride. •	Take in the quaint countryside roads as you cycle through them. •	You’ll gather around the campfire in the evening. You will ride through the Kudremukh National Park, all the way to the holy town of Shringeri. The ancient temple of the goddess is close to 1,200 years old. 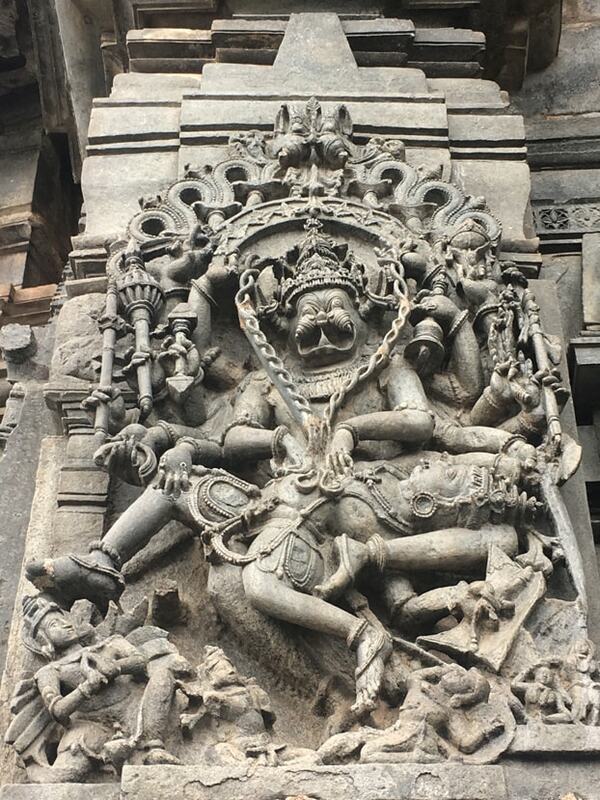 We will walk you through its rich history and the philosophies of Adi Shankaracharya. Post a visit to the temple, you will walk about the farm, identifying unique amphibians that emerge during this very specific time of the year. Your accommodation is at a family home. •	You’ll ride through a national park. •	You’ll ride downhill towards Shringeri. •	Take a night walk at Shringeri homestay, spotting amphibians. 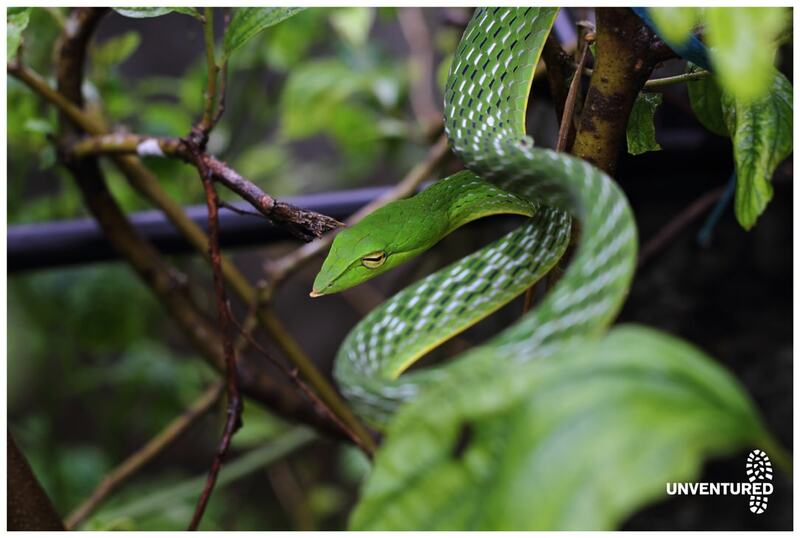 Ride out to the heartland of the king of the reptilian land – the cobra, Agumbe. On your ride to the Agumbe Rain forest Reserve, you can expect some heavy rainfall. It is pegged as the region with the second highest amount of rainfall in India. You will visit the Agumbe Rainforest Research Station for an insight into the native reptile species (The King Cobra) and its conservation. A night trek and conversation with the conservationists will open a whole new world of the reptilian land, beyond the preconceived fears. •	You’ll have an Interesting afternoon and evening exploring the amphibian life of Agumbe. •	You’ll go on a night trek and gain insights into research about amphibians. Ride from Agumbe towards the Kavledurga Fort where you will hike up the 9th-century fort, rich with the history of the once-flourishing Vijayanagar Dynasty. Before the hike, you’ll enjoy a picnic lunch by a stream. Post the hike, you will drive to your accommodation. You’ll stay overnight at a farmstay whose hosts practice sustainable farming and are keen artists, too. 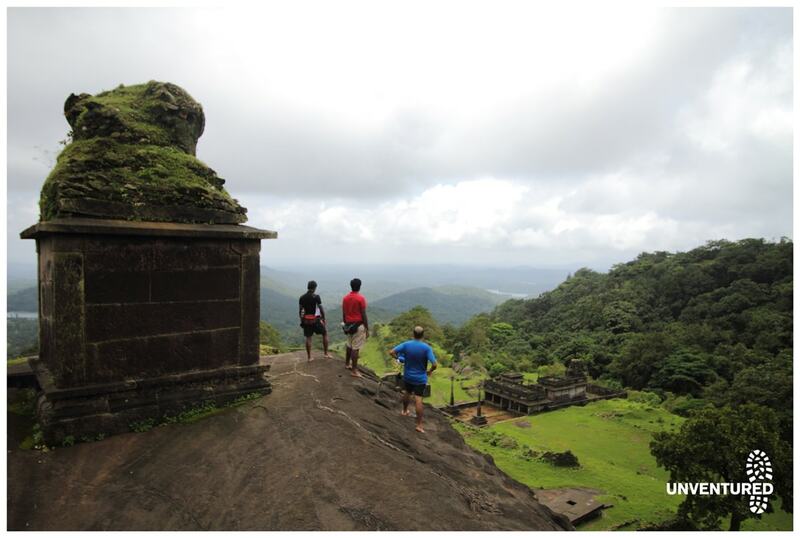 •	You’ll hike up to Kavaledurga Fort. •	You’ll nibble local food along the way, eat a picnic lunch. •	You’ll get to ride through small villages and towns. Wake up to the aromas of fresh coffee brewing midst your farmstay. Post breakfast, embark on long stretches of downhill riding by the coast to the Maravanthe beach. This beach town is one of the most beautiful beaches in India, with the Arabian Sea to its right and Sauparnika River to its left. Unlike any other beach in the country, Maravanthe beach is quiet and quaint, truly a nature lover’s private escape. Relax and rejuvenate by the beach today and indulge in some coastal cuisine. •	Take a downhill ride to Kolluru. •	Enjoy the local coastal cuisine. •	Take in beautiful views of the river and the sea on either side. Wake up late. Post a stroll and breakfast by the beach, we drive towards Bangalore. Approximately 450 kilometres to the city takes about 6 hours by road. Upon your request, we can further arrange for accommodation in Bangalore and plan your itinerary accordingly. The ride is graded as a medium intensity ride as it will be moderately challenging with some steep stretches and changing weather conditions. Exploring the Western Ghats at the pace of a pedal is fun and enduring because of the hilly nature of the region. Yet it is filled with a host of interesting experiences that bring the flavours of the “Malenadu” region. Experience the monsoons at its best and discover how this region transforms with each day. This 7-day trail begins and ends in Bangalore and includes approximately 300 kilometres of cycling over the 6 days. We’ve prepared a good mix of cycling, leisure, and exploration. You will experience stretches that challenge your limits, sceneries that indulge your senses and interactions with the locals that expose you to new cultures. The monsoon trail is graded medium intensity, merely in terms of distance and some stretches of gradient climbs since most of the rides will be done mostly on tarmac roads. The tour itself has a good blend of nature, culture, local flavours, and some senses of history and culture. We suggest that you start mountain biking in your home country a few weeks before this trip. This is to ensure you take away the unfamiliarity with mountain bikes that occurs due to lack of practice and physical unpreparedness; so you don’t hold up the other prepared participants. This tour will include a personal guide, mechanic, and a designated driver. Accommodation will be in 2-3 star hotels and homestays with good hygienic bathrooms, offered on a twin-sharing basis. A team of 10-12 riders will be supported by one van with a carrier, which will carry both the riders and bikes, along with a spare cycle, lunch packs, and water. Through the day, this vehicle will ride with the riders. Expenses incurred due to reasons beyond our control such as bad weather or road blocks due to landslides etc. You can close your eyes and join up for an Unventured trip. I am just back from their trip Chasing the Monsoons and it was truly an experience of a lifetime. Greet thought goes behind the cycling trail, the food, the homestays. Everything is a beautiful experience. 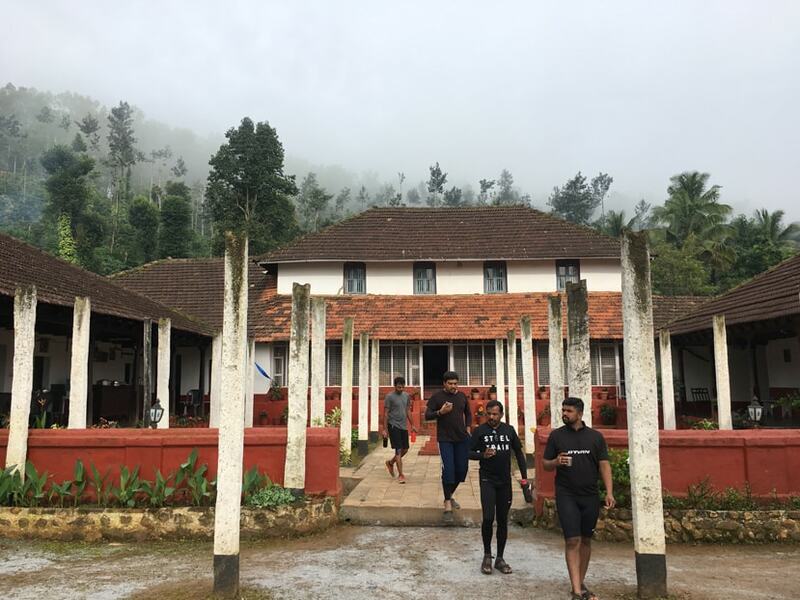 Imagine yourself cycling in rain and fog through the Sahyadri mountain range, kudremukh forest, walking in the night at Agumbe research station, staying at farm houses, beach stay and cosy homestays with local food and meeting a bunch of great people. The Unventured team led by Gurudeep are very passionate and knowledgeable They want to not only give you a cycling experience but bring you closer to nature. Besides, our van and eatables support Renuka is always there to help you with food, water, first aid and ensure that you are not lost. I am already planning my next Unventured trip.